Nigel George TEP (Trust and Estate Practitioner) is an experienced Private Client solicitor having worked for over 30 years in private practice. He specialises in Will preparation, Estate administration, creation of Trusts, Trust administration, inheritance tax advice and elderly client issues including Lasting Powers of Attorney and Court of Protection applications. 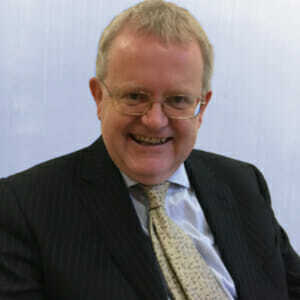 Nigel has advised a very broad range of clients over the years, assisting individuals and families with their affairs. He brings a wealth of experience to Garner and Hancock and a sensitive and empathetic approach to clients who require assistance and advice, often at a very difficult time of life. He became a member of STEP (The Society of Trust & Estate Practitioners) in 2014. Accordingly is regarded as a specialist for providing advice on wills, trusts and Inheritance tax. Nigel considers that everyone should consider effective tax planning. He’s a great believer in encouraging clients to plan ahead and believes it’s just as important to consider potential tax issues on death, as how to provide for old age. Nigel’s interest is Dementia, Mental Capacity and end of life care and has delivered a number of seminars on these subjects to those in the medical, social care and wider community. He is a member of the National Council of Palliative Care, the Alzheimer’s Society and a Dementia Champion.